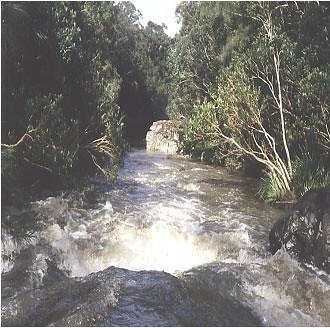 Mammy Johnsons River starts in the Bulahdelah mountains. 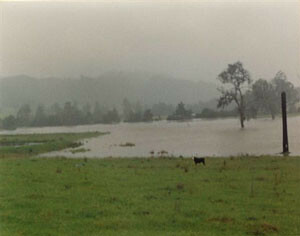 It is the major tributary of the Karuah River and Port Stephens, joining the Karuah River at Stroud Road. Mammy Johnsons River is a clean, healthy river. It contributes to the water supply of 2 towns via the Karuah River – Stroud & Stroud Road. It also supplies farmers downstream with irrigation and water for their stock. Mammy Johnsons River has an abundance of aquatic life, and supports recreational activities such as tourism, swimming, canoeing and fishing. The river ought to be afforded a higher level of protection than it currently receives. Duralie Coal Mine is adjacent to the Mammy Johnsons River. At least five more modifications, extensions or expansions are planned – as is underground mining. There is the possibility of mining under the Mammy Johnsons River and the north coast railway line. 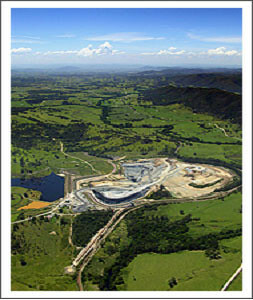 Open-cut mining to within 40 metres of on both sides of the river – floodplains and a probable river diversion. 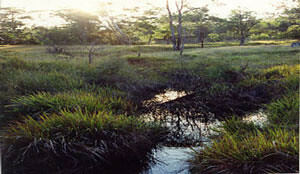 River discharge of saline run off irrigation mine water (dirty water): Variation to the original conditions of consent. Gloucester Coal is self-regulatory and there have been mine water discharges into the river. Independent consultants have shown that they have exceeded their noise limits. The EIS stated there would be no environmental impacts yet vulnerable species have been killed. The local community is concerned with dust. The National Pollution Inventory states that dust pollution has increased by 50% in the Gloucester Valley. 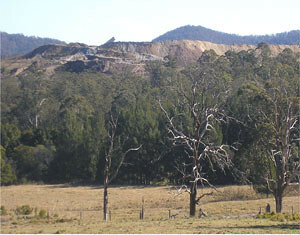 Open-cut mining has already provided a mountainous overburden dump – Mammy Johnsons River is in the foreground. The overburden dump increased 10 metres from the original conditions of consent. Rehabilitation is well behind schedule. The EIS states that there is no significant environmental impacts. Duralie Coal plan to explore, drill then mine a significant floodplain backwater wetland. It is a priority of Gloucester Coal to acquire private properties for mining expansions. Risk of geological fracturing to riverbed & loss of flow from blasting if mining commences. Alluvial groundwater system at risk of contamination impacting on river water quality. Coal Shaft Creek was diverted around the pit. The EIS stated that impacts would be minimal and insignificant. It doesn’t hold permanent water or any aquatic life. This is the KILLING of a creek.